There may come a time when a telecom service will no longer operate from a particular location. On the other hand, perhaps the site’s equipment is so outdated that it is easier to start from the ground up than to try to renovate what is already in place. When either of these problems occur, CellSite Solutions can provide telecom decommissioning services. Unlike demolition of a simple structure, telecom demolition services are explicitly designed to solve the unique problems that happen when telecom equipment is involved. This can include towers, batteries, internal equipment, hazardous material and communication shelter removal. While every telecom site or communication shelter is a little different, the basic process remains the same. First, we make certain there are no other legal claims to the site before we proceed. If third parties are using the site, we work within the law and give proper notice of termination before we begin telecom decommissioning services. Next, we recover all branded equipment, when possible. We can either return the equipment to you or handle disposal — the decision is yours. Our next step is to decommission radio and microwave-based equipment. This is one of the most involved steps, but we complete it carefully and safely. Then, we manage the entire process of disconnecting power supply to the site. Next, we’ll perform the communication shelter removal including all electrical equipment and wiring. Circuits are tested and can be kept for re-use if you so desire. Finally, we take care of dismantling of steelworks or site demolition. This may be a full-demo job or a selective demolition project, depending on the location of the telecom facility. We will work to make sure to complete the project safely and to have as little of an impact on surrounding structures as possible. Who Benefits from Telecom Decommissioning Services? The benefits of telecom site decommissioning are difficult to measure. First, if the site is no longer functioning, removing the site is an improvement to the community. With our full-scale telecom site remediation process, we bring the land back to workable condition so it can be used for other building purposes. If, instead, you are planning to rebuild in the same spot, the benefits extend to your organization. After all, the land was likely chosen for a telecom site for good reason. Finally, with our telecommunications site clean up, we remove the old potentially hazardous materials to ensure the land is restored with proper safety in mind. 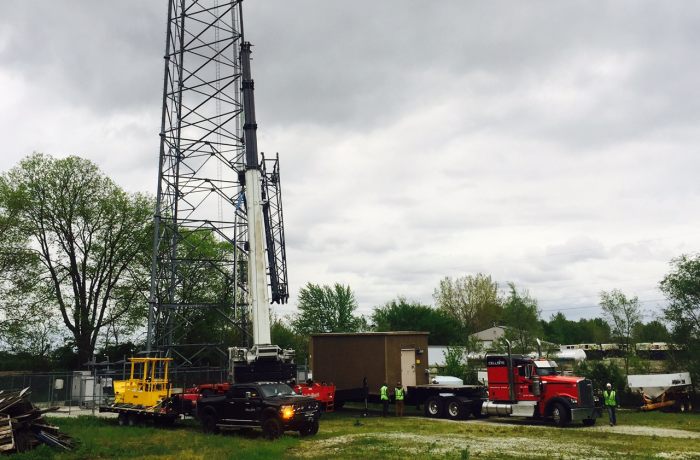 There are many options when it comes to telecom site and cell tower decommissioning services. We strive to provide these services in an efficient and affordable manner. If you would like to learn more about the benefits of this process, call or contact us today. Let CellSite Solutions provide decommissioning services for your next telecommunications project. Questions about our products or services? Check out our FAQ page or contact us for more information or to get a quote.